Jihad takes many forms. 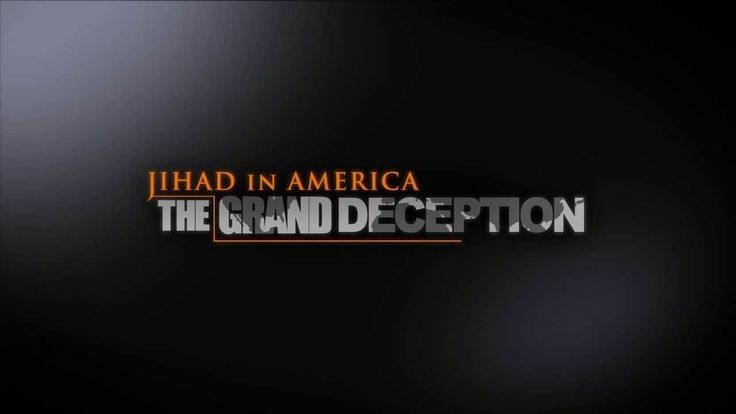 Civilization jihad, or stealth jihad is occurring everyday and in a myriad of ways within the United States of America. -W.E. Americans do not realize that Muslims will use every means possible – including the womb – to infiltrate any Christian society in order to destroy it from within. Jihad comes in many forms, including bribery. Millions of dollars are coming from the nation of Qatar to America to publish propaganda. Two ‘experts’ with the prominent left-wing think tank Brookings Institute – Dr. Daniel Byman and Tamara Cofman Wittes – published a memorandum to Barack Obama entitled, Muslim Brotherhood Radicalizes. In it, they argue that the Brotherhood should be appeased, not exposed. The piece was published in response to Egypt declaring the Brotherhood a terrorist organization and comes across as a defense of Egypt’s Brotherhood. By declaring the Muslim Brotherhood a terrorist organization, Egypt risks radicalizing the group’s members and destabilizing the region further. Daniel Byman and Tamara Wittes argue that the Obama administration should engage with peaceful Islamists, push Egypt to allow Brotherhood supporters to participate in legitimate political and social activity, cooperate with Egypt on legitimate terrorism threats and expand counter-radicalization efforts there. To sustain a peaceful alternative for Brotherhood supporters, you should press the Egyptian government to release from prison Islamist politicians who commit to non-violence, and to allow a range of Islamist parties to organize, compete in elections, and participate in governance. Former President Morsi is now on trial for a host of charges, some questionable, in a highly politicized environment. The United States should not make his release the measure of success for its diplomacy. But it should continue to press the Egyptian government to engage with Brotherhood figures seeking reconciliation, and should insist that Morsi receive fair treatment. U.S. officials should engage with all Egyptian politicians, including Islamists committed to non-violent political participation—even if this displeases the Egyptian government. It should be noted that Byman and Cofman Wittes work for the same Brookings Institute which the New York Times revealed in September had agreed to accept $14 million from the extremely Muslim Brotherhood-friendly nation of Qatar over four years. As Shoebat.com reported, Qatar is buying influence; it is not simply being generous. Wittes was a prominent voice within the Obama State Department from 2009-2012 as deputy assistant to secretary of state for Near Eastern affairs, smack dab in the middle of the Arab Spring that has proven disastrous for the world and served to aid in the rise of ISIS. The memorandum she co-wrote with Byman indicates she’s learned nothing about the intentions of the Brotherhood, assuming she’s ignorant of those intentions and not in league with them. Appeasing Egypt’s Muslim Brotherhood serves the interests of the same Muslim Brotherhood in Qatar, which is home to the group’s spiritual leader Yusuf al-Qaradawi. Americans need to stop seeing nation states and start seeing the ideology behind a Caliphate mentality. Speaking of Qatar, Byman and Wittes were both present at the 2013 installment of the U.S.-Islamic World Forum (US-IWF) held in Doha, that nation’s capital each year (save for 2011 when it was held in Washington, DC). Shoebat.com has written extensively on the relationship between Brookings and Qatar through the US-IWF. Typically, the US-IWF is rife with Muslim Brotherhood members and sympathizers. The aforementioned video of McDonough is cued up to start with a shot of the audience. In full view is Farah Pandith, a Muslim woman working at the State Department who was sworn in using a Qur’an; Abdullah bin Bayyah, deputy to al-Qaradawi; Obama’s Muslim Brotherhood connected envoy to the OIC Rashad Hussain; then ISNA President Mohammed Magid; and CAIR Executive Director Nihad Awad among others. Shoebat.com is also familiar with Dr. Byman. Last year, one month after the US-IWF which he attended, at a Foreign Affairs Subcommittee hearing, Byman displayed an astonishing level of ignorance considering he is supposed to be an ‘expert’ on the Middle East.